Childrens Cancer Institute in Australia is working with St George Bank to raise funds for cancer research, using a series of nursery rhymes. 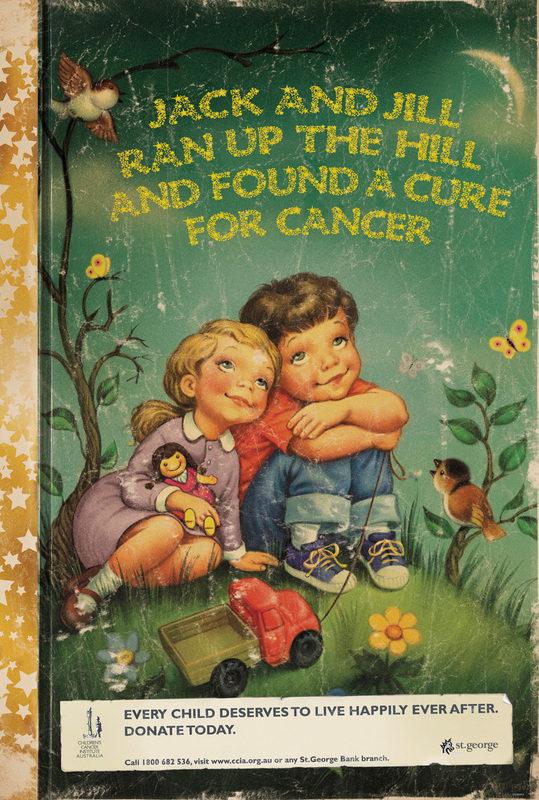 For the months of September and October Children’s Cancer Institute Australia for Medical Research (CCIA) is asking Australians to help raise $10 million for the development of the Lowy Cancer Research Centre so that they can move one step closer to defeating childhood cancer within the lifetime of a child born in 2020. 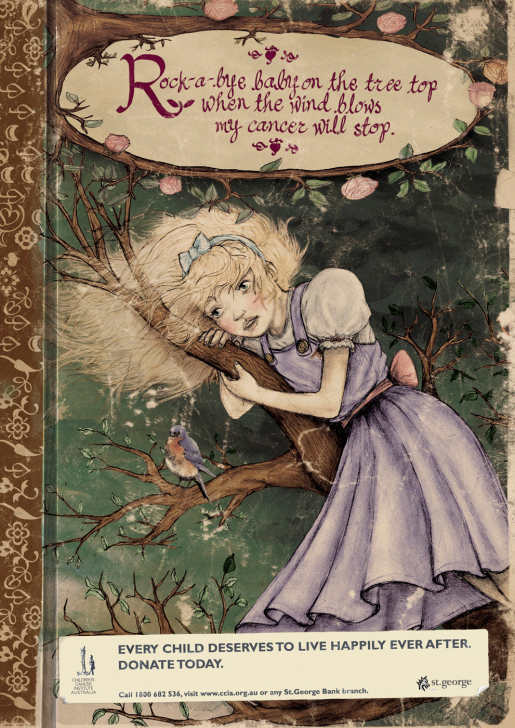 Each print advertisement shows children struggling with the reality of cancer, with the appeal, “Every child deserves to live happily ever after. Donate today.” The nursery rhymes themselves come from an era in which children struggled with disappointment and dreariness. Paralympic athlete Michael Milton, who lost a leg to cancer at the age of nine, features in the direct mail and television campaign. 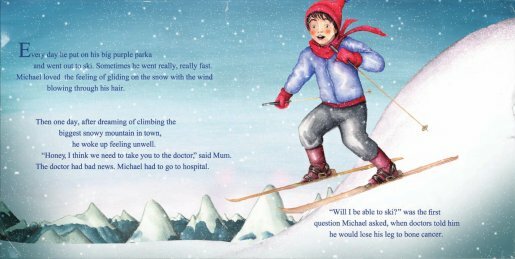 A picture book tells the story of Michael who, at the age of 14, competed at the 1988 Paralympic Games in Innsbruck, Austria, skiing on one leg. At the age of 19 he won Australia’s first ever winter gold. In 2002 he won gold in every single event he competed in. He is currently competing at the Beijing Paralympics as a cyclist. 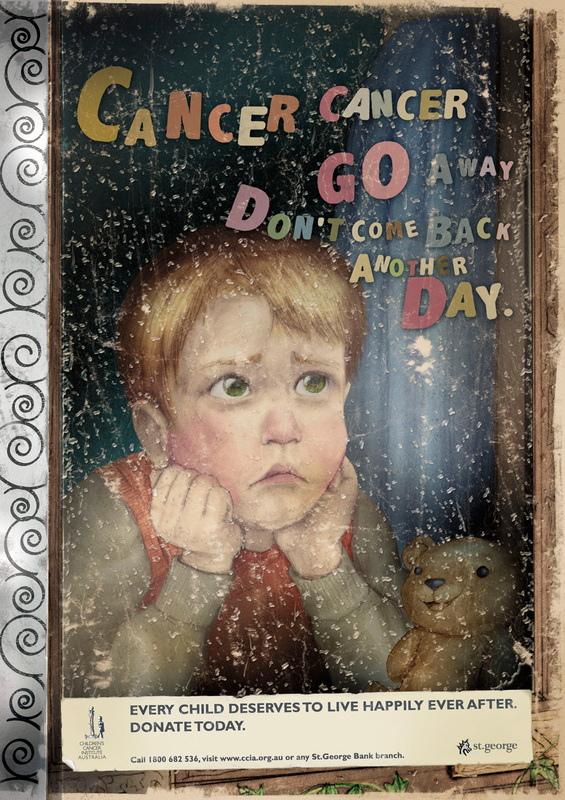 The Child Cancer campaign was developed pro bono at Singleton OgilvyOne, Sydney, Australia, by creative director Simon Bloomfield, art director Karolina Bukowiecka, copywriter Shelley Dodd. Illustrators on the print campaign were Steven Nuttall and Anton Petrov with retoucher Akhalak Parkar.